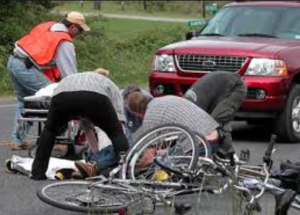 Cars colliding with one another are a common occurrence, but for the past ten years, motor vehicles have been plowing into humans at an alarming rate. 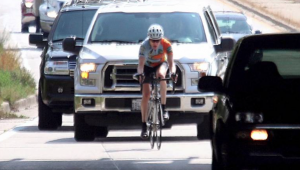 According to a study from the National Highway Traffic Safety Administration, pedestrian fatalities, which includes bicyclists, joggers, walkers, and skaters, have climbed to nearly 6,000 per year since 2009. What is even stranger is that the number of pedestrians killed in accidents involving SUVs has skyrocketed by 81 percent during that time, says a new report released by the Insurance Institute for Highway Safety (IIHS). After a ten year decline, highway fatalities have been rising in recent years. Many factors, such as drugs and alcohol, appear that have an influence on the increased amount of deaths. Some attribute the increase in pedestrian fatality to texting and driving, which is a fair assumption because nowadays people tend to be glued to their phones, and they do not pay attention to their surroundings. Other experts argue that the rise in pedestrian accidents is due to the way our streets are designed. These experts contend that our roads are built to prioritize and facilitate the movement of motor vehicles, therefore compromising the safety of pedestrians. The evidence tends to back that claim. Many streets do not have sidewalks or traffic signs dedicated to pedestrian safety. Although the above clarifications may be true, they do not explain the increase of SUVs involved in these accidents. The report by the IIHS suggests that the growing number of SUVs on the road and their elevated design could be the reason why more pedestrians are killed by SUVs. “SUVs have higher front ends, and often the design for the vehicle is much more vertical than passenger cars,” says IIHS President David Harkey. This makes sense because SUVs are larger and heavier than cars, and the laws of physics states that force is equal to Mass multiplied by Acceleration (F= M x A). Thus, SUVs make greater impact when they collide, and due to their elevated design, it is unlikely that a pedestrian struck by an SUV will be able to roll off the vehicle and reduce injuries. Pedestrian Fatalities in Florida and the U.S. In summary, pedestrian fatalities have climbed to nearly 6,000 a year, which is roughly 50 percent increase since 2009. This means that pedestrians must take extra precaution. Pedestrians must look out for distracted drivers, unfavorable roadways, and SUVs. Car accident can be traumatic, and a lawsuit might be the last thing on your mind after the ensuing chaos. But if the accident was caused by someone else’s negligence, you should keep your legal options open. Contact the Law Office Of Shannon J Sagan if you or someone you know has been injured in a pedestrian accident. it is very important that you act quickly. My office will help you collect the evidence, and we will help you file all the necessary paperwork to determine if you can receive fair and adequate compensation for your injuries.